Description: Agra, India - 9 November, 2018: View of the Musamman Burj in the Agra Fort through marble columns. Octagonal tower with dome on blue sky background. 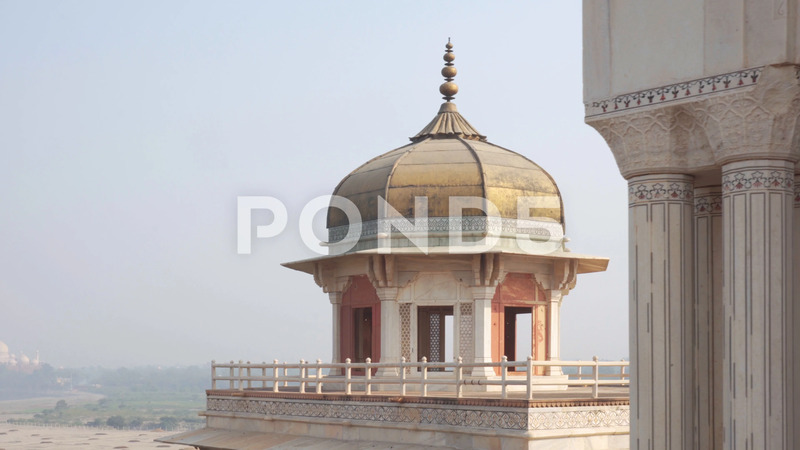 Mughal architecture.